Since obtaining his law degree from UBC in 2002 Erik has focused his practice entirely on litigation. Mr. Magraken currently restricts his practice exclusively to plaintiff-only personal injury claims with a particular emphasis on ICBC claims involving orthopaedic injuries and complex soft tissue injuries. Mr. Magraken’s professional associations include membership with the Canadian Bar Association, the Law Society of British Columbia, the Trial Lawyers’ Association of British Columbia and the Canadian Internet Registration Authority. Paul Pelzer practices in the areas of personal injury and general civil litigation. He is a member of the British Columbia Bar and belongs to the Canadian Bar Association and the Trial Lawyers Association of British Columbia. Paul has represented clients in the Supreme Court of British Columbia and the British Columbia Court of Appeal. He has conducted trials both before judge alone and before a jury. A former volunteer firefighter, Paul Pelzer continues to serve the community using his law degree. He truly enjoys the feeling he gets from helping people with their various legal problems. He also enjoys classic cars and snowboarding. 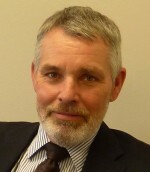 David MacLeod’s practice focuses on criminal defence, personal injury and civil litigation. He has assisted clients throughout British Columbia. Prior to joining MacIsaac & Company, Don acquired extensive experience as a trial lawyer practicing personal injury law, insurance defence litigation, general civil litigation and criminal law (defence and prosecution). Don has represented clients in all levels of Court, including the British Columbia Supreme Court, the British Columbia Court of Appeal and the Supreme Court of Canada. At MacIsaac & Company, Don has focused his practice and will be practicing primarily in the area of personal injury litigation. In his spare time, Don enjoys boating with his family, fishing and coaching hockey. Donna Krakowec was born and raised in the Cowichan Valley. She earned a Bachelor of Arts in Psychology (with distinction) and a Bachelor of Laws degree, both from the University of Victoria. 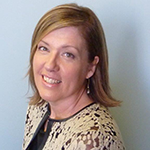 After graduating from law school in 1997, Donna articled with MacIsaac & Company, and has remained an associate ever since. Her practice focusses on plaintiff personal injury work, assisting injured clients with ICBC and other insured injury claims. 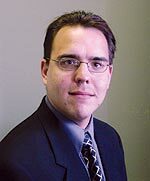 Mitchell Selly obtained his law degree in 2003 from the University of Victoria and began practicing in Victoria after completing his articles in 2004. His practice is focused on representing people who have been injured due to the negligence of others. He handles motor vehicle accidents and occupier’s liability (a.k.a. slip-and-fall). Mitchell has helped people with a vast array of injuries, including complex brain, orthopaedic, psychiatric, vestibular, and chronic pain disorders / soft tissue injuries. 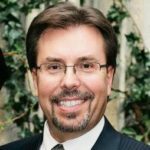 He currently sits on the executive council of the Victoria Bar Association and is a member of the Trial Lawyers Association of British Columbia and the Canadian Bar Association. 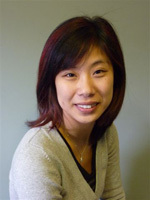 Edith Lau (Cheng) was born in Regina and raised in Victoria. She holds a Bachelor of Commerce (with distinction) and a Bachelor of Laws from the University of Victoria. In addition to English, she speaks fluent Cantonese Chinese and is conversant in Mandarin Chinese. She has worked and studied in Hong Kong and Taiwan. After articling with MacIsaac & Company, Edith was admitted to the Bar of British Columbia in 2009 and has remained an associate at the firm. She practices in personal injury law for plaintiffs and represents clients who have been injured in car accidents or injured in occupier’s liability claims such as slip and falls. Edith is a member of the Law Society of British Columbia, the Trial Lawyers Association of British Columbia and the Victoria Bar Association. 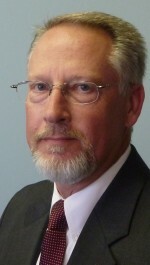 Brian McAllister is our Director of Client Services. 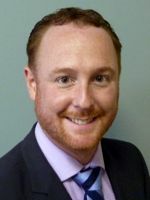 He is the manager of our Personal Injury Referral Program and Client Appreciation Programs throughout British Columbia. Brian investigates and reviews evidence-based information required to properly document and assess a client’s injury claim. Brian often meets directly with clients at our offices located throughout British Columbia. Prior to joining MacIsaac & Company Brian was a consultant to the insurance industry for twenty-five years investigating high complexity personal injury and motor vehicle accident claims. 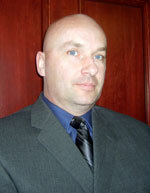 Brian is a former RCMP member who served for several years on special investigation units. Now working for MacIsaac & Company on behalf of accident victims, Brian brings his extensive experience and expertise to your case. 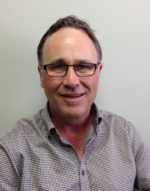 Rob Guenter came to MacIsaac & Company after working for many years as an adjuster in the I.C.B.C. Claims Division investigating, assessing and negotiating personal injury cases for I.C.B.C. Now working with MacIsaac & Company, he brings to your case those years of experience and knowledge of the inner workings of the insurance industry and will put that experience and knowledge to work for you. Rob White came to MacIsaac & Company after working for many years as an adjuster in the I.C.B.C. Claims Division investigating, assessing and negotiating personal injury cases for I.C.B.C. Rob then moved to the I.C.B.C. Rehab Dept. where he was able to work one on one with severely injured claimants. Now working with MacIsaac & Company, he brings to your case those years of experience and knowledge of the inner workings of the insurance industry and will put that experience and knowledge to work for you.